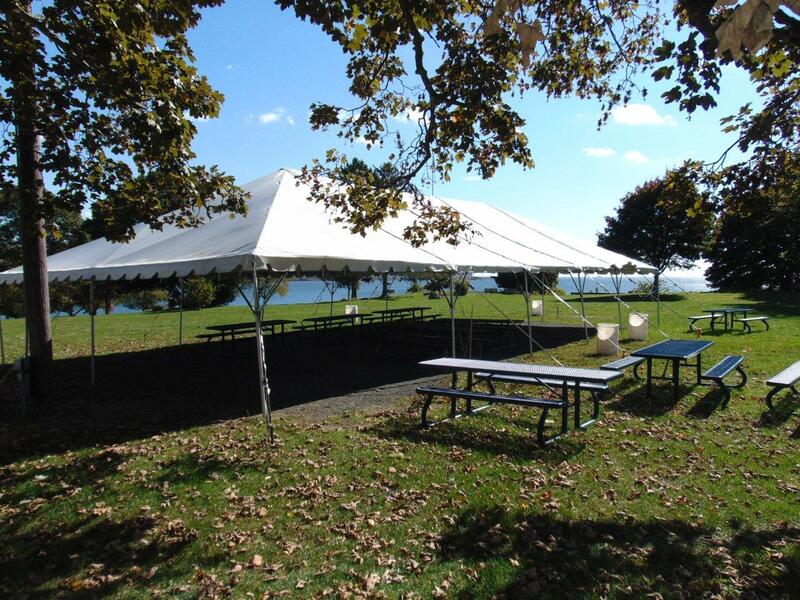 McCook Point Park offers a serene setting overlooking Niantic Bay to enjoy group outings housing two separate structures to accommodate large groups on its property. As you get to the top of the upper parking area, the wooden structure on your left is the pavilion, and about 300 feet to your right is a large white tent toward the middle of the park. Both structures are 30′ x 60′ and are equipped with electricity and picnic tables. The attached facility request form will need to be filled out in its entirety and submitted at the park and recreation office to be considered for rental. *Non-Residents are restricted from renting the facilities between Memorial Day and Labor Day. Please contact the park and recreation office if looking to rent structures for a business function.